Around 127,000 people in the UK have Parkinson’s – that’s around one person in every 500. 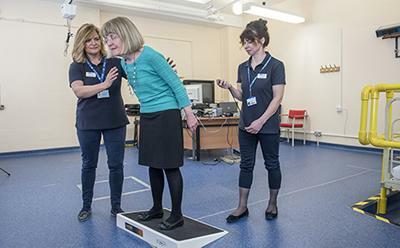 Parkinson’s UK has identified reducing falls as the top priority for people with the condition, and here at the University of Southampton, our researchers are running the largest trial of its kind in the world to address this issue. Parkinson’s is a progressive neurological condition that is caused by a lack of a chemical called dopamine in the brain due to a loss of nerve cells. The symptoms of Parkinson’s affect movement and mean that people with Parkinson’s are more likely to have falls than other people of the same age. Although people with Parkinson’s have access to physiotherapy and occupational therapy, these treatments don’t usually focus on helping them prevent falls. To address this, the Southampton research team has developed an individualised programme of exercises and guidance on improving movements, specifically aimed at helping people with Parkinson’s fall less often. The programme, known as ‘PDSAFE’, has been developed over the past two years with input from people with Parkinson’s and a collaboration of international experts. 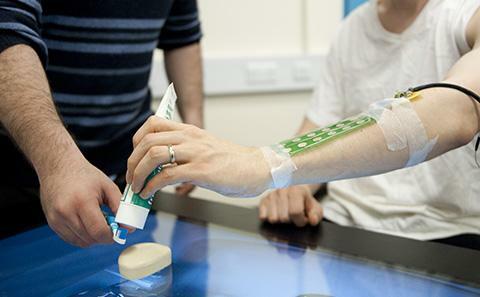 “Involving people with Parkinson’s right from the beginning in the design and development of this programme has been a crucial part of this project, which enables us to make sure that PDSAFE is as helpful as it can be for the people who will eventually be using it,” says Trial Manager Dr Kim Seymour. The team is now running the largest rehabilitation clinical trial of its kind in the world to test PDSAFE in people’s homes. The multi-centred, randomised controlled trial will explore the benefits of the PDSAFE programme and investigate its effects on balance, walking and overall confidence. The team is currently recruiting up to 600 people with Parkinson’s living in the community across the UK, including Southampton, Portsmouth, Bournemouth, Poole, Exeter and Newcastle, to take part in the trial, which is funded by the National Institute of Health Research Health Technology Assessment (NIHR HTA). The trial participants will be randomised into two groups: one group will have their usual care and the other will undergo a six-month programme of the ‘PDSAFE intervention’, which involves a physiotherapist visiting them in their own home to work with them on strategies they can use to improve their balance and strength and ways of moving more efficiently. “As well as traditional physiotherapy, we will also be using technology – our team has created video clips of exercises for participants to watch on tablet computers and practise independently, enabling them to self-manage and self-support their condition. 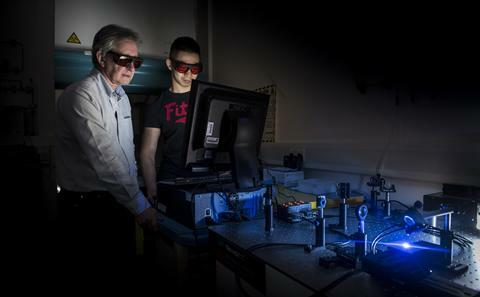 This is a world first in this type of study,” explains Kim. Participants are also asked to fill in a daily falls diary, to detail when and how they have fallen, and some people will be visited by a qualitative researcher who will ask them questions about their views on the treatment programme. 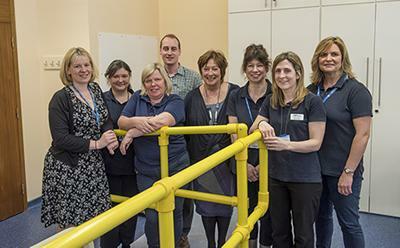 Alongside the physiotherapists, a group of independent healthcare professionals will also assess how participants are moving at the start of the trial, then during the trial at three, six and 12 months. These assessors – who are not told which treatment group the participants are in – will use a number of measures to record how well and safe participants are moving around and the impact the programme is having on their lives. “Rehabilitation trials are particularly challenging because they involve asking participants to give up their time to exercise each day for an extended period, and for the physiotherapists to work with us in addition to their other clinical commitments. But because falling is such a traumatic occurrence, both people with Parkinson’s and practitioners have been keen to be involved,” says Kim. The trial will run until mid-2017, and the results will inform guidelines for people with Parkinson’s and their therapists. 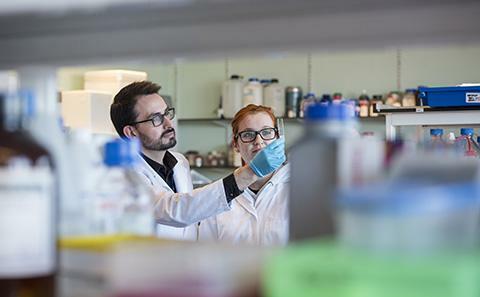 “We hope the results of this study will have a major impact on future healthcare policy and have a real effect on reducing the number of people with Parkinson’s who are injured by falls,” says Ann. 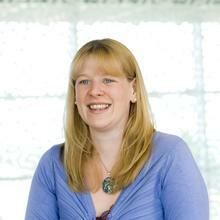 Dr Kim Chivers Seymour joined the Health Sciences at Southampton in 2006 as a PhD student.